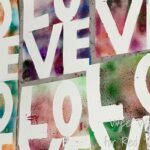 Just so you know.. the 31 Days of Love series – a lovely love series throughout the whole of January, has been extended right up to Valentine’s Day!! 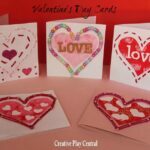 So we will be seeing EVEN more fantastic Valentine’s Day Ideas and Valentine’s Day crafts. 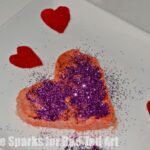 Today, we have a super fun and simple to do Valentine’s Day Lunch or Valentine’s Day Snack depending of the age of your child. Quick and easy to make, looks lovely AND tasty! Healthy too. What a perfect Valentine’s Day Idea indeed! 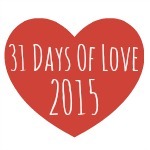 Read more about the 31 Days of Love here. 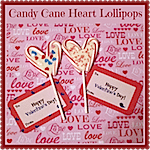 And check out MORE fantastic Valentine’s Day Treats! 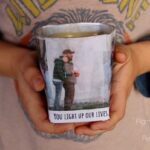 Thank you Maggie for letting me join in on the 31 Days of Love posts! 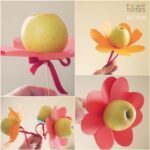 As a mom, I love crafting for and with my kids, but I also love food art. 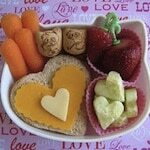 A few twists of the knife, a fun cookie cutter or two, and you have the perfect lunch to show love to your little ones for Valentine’s Day. At this time of year, cookie cutters and food picks shaped like hearts are plentiful, I found all the ones I used in this lunch at our local dollar shop. 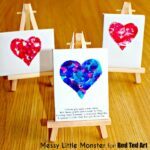 Hearts are also fairly easy to cut with a knife, just trace a cardboard template for help if you need it. 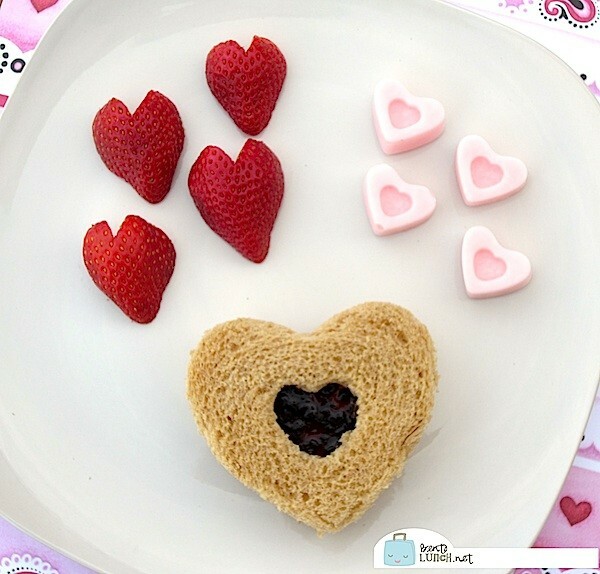 In this lunch, we chose a Linzer-style heart sandwich, heart shaped strawberries, and heart shaped frozen yogurt bites. 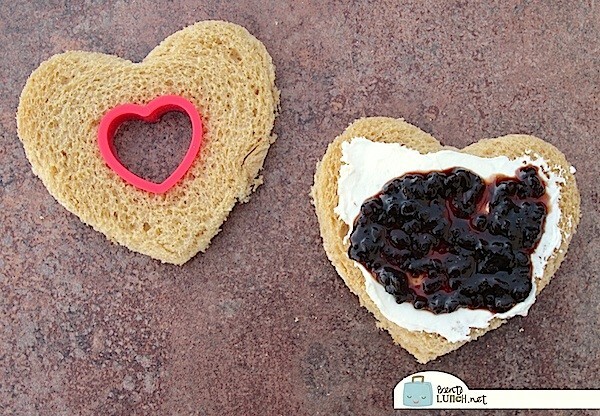 To create the sandwich, use a large heart cookie cutter to cut out two pieces of bread. 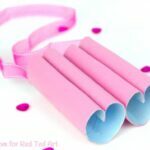 In the center of one heart, use a mini heart cookie cutter to cut out a single small heart. Spread the solid piece of bread with cream cheese, then your favorite jam, and top with the cut out bread. 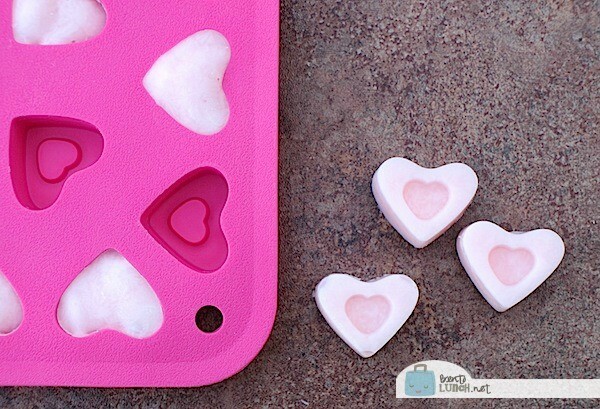 You should have a jam-colored heart peeking through. To create frozen yogurt bites, look for a silicone ice cube mold. Fill the mold with yogurt (we opted for strawberry since it was pink) and freeze. Pop out of the molds and onto the plate, or directly in your mouth, they’re tasty! 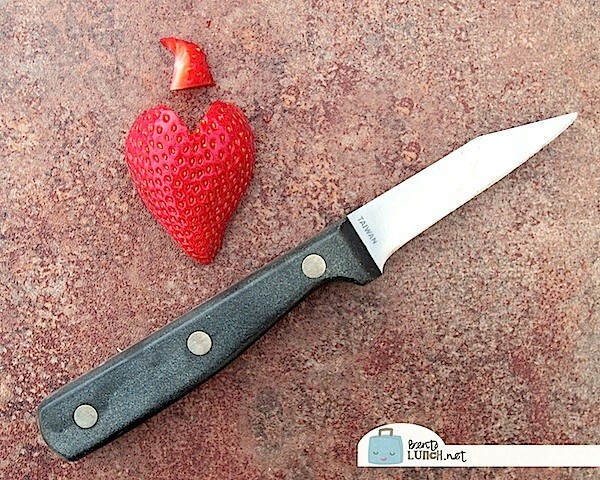 To create heart shaped strawberries, slice each strawberry in half. 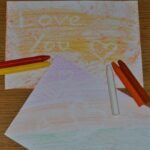 Lay the halves on a flat cutting surface and cut a triangle out of the top to form a heart. Plate the food on and serve for smiles! 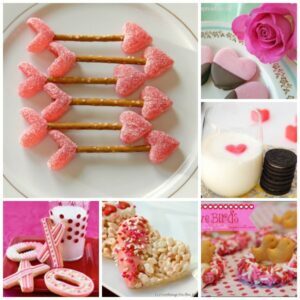 Would you like more Valentine food ideas?